Senior Camille Chabot: “We are not here to receive anything, we are here to reflect … and share Gael stories of pride, challenge, success and disappointment.” So began the Dublin High School Class of 2013 baccalaureate, an annual event that brings together seniors, educators, parents and extended family members to share in a very personal series of memories before the pageantry of commencement. Despite the 100-degree heat (and a lack of air conditioning in the Dublin High Sports Complex), the rows of seniors, sharp in their commencement robes, and family members behind them filling the stands, sat in rapt attention to the speakers, performers and slide show of memories. Both students and their parents shared in the tears and laughter of this wonderful event. In an event that had so many highlights, including a beautiful rendering of “Somewhere Over the Rainbow” by senior Norita Saha, and a collage of thank you’s from teachers presented by class advisor and teacher Jennifer McCort, nothing was more powerful than the keynote speech delivered by Dublin High School teacher Ron Rubio. Introduced by his son, and outgoing student body president Manuel, Ron Rubio’s speech masterfully balanced a message to the graduating seniors and a shared empathy with their parents. 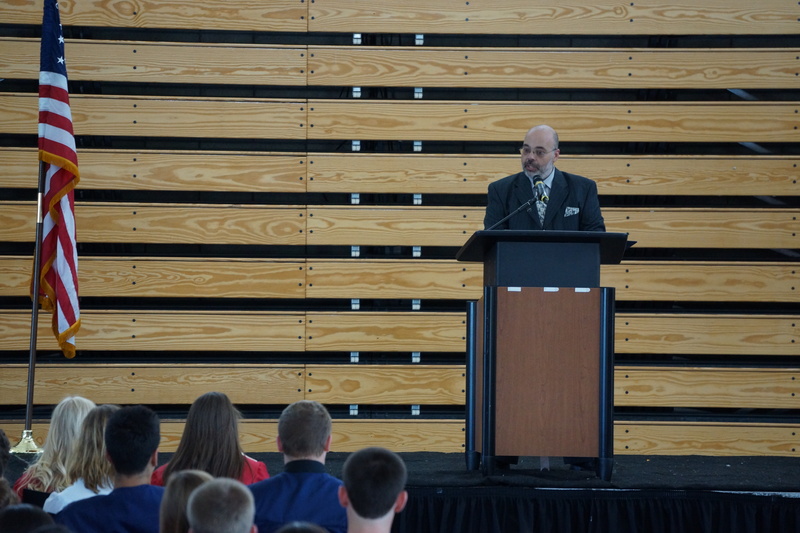 Ron Rubio to the Class of 2013 seniors: “This time of year can be a very tough for your parents. 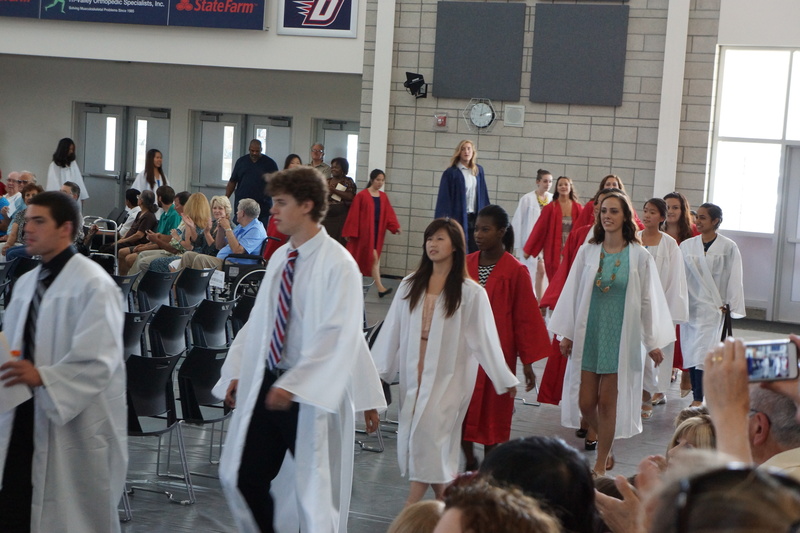 I know what I’m talking about, this is my second kid graduating through Dublin High School. This is very tough on your parents – it was just a blink of an eye when you were a small child. They turned around for a minute, and now you’re here. When you were little and you came home you’d run and throw your arms around your parents, and squeeze them, and tell them you loved them, and couldn’t wait to see them, crawled into their laps, held their hands, hugged them. 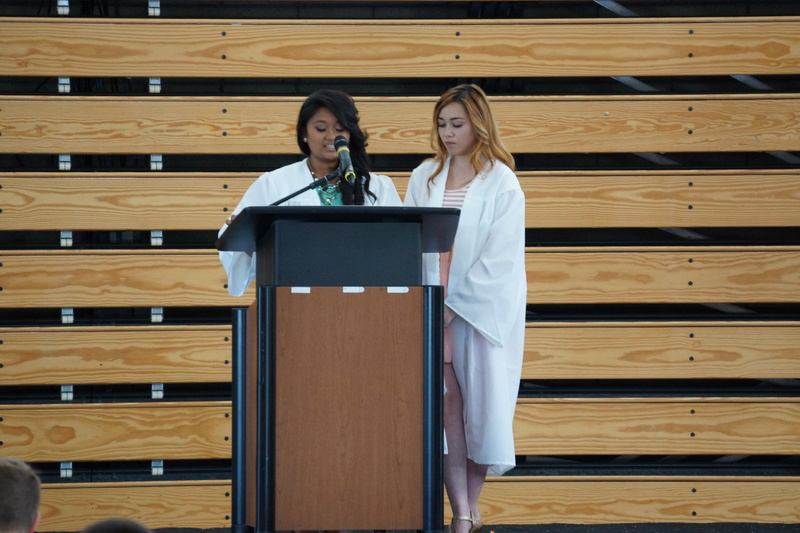 The connection of students and parents continued with seniors Kendra Cheda and Christa Hunt emotionally thanking and introducing the class parent representatives (and their mothers), and senior Spencer Hollie introducing his mother, Rev. Sharon Hollie, who used the journey of friendship from elementary school to college as the foundation for her speech that blessed the leaving class. Following the speeches, the air-conditioned Student Union welcomed students and their families with snacks and colorful student memory boards prepared by the parents for each student. 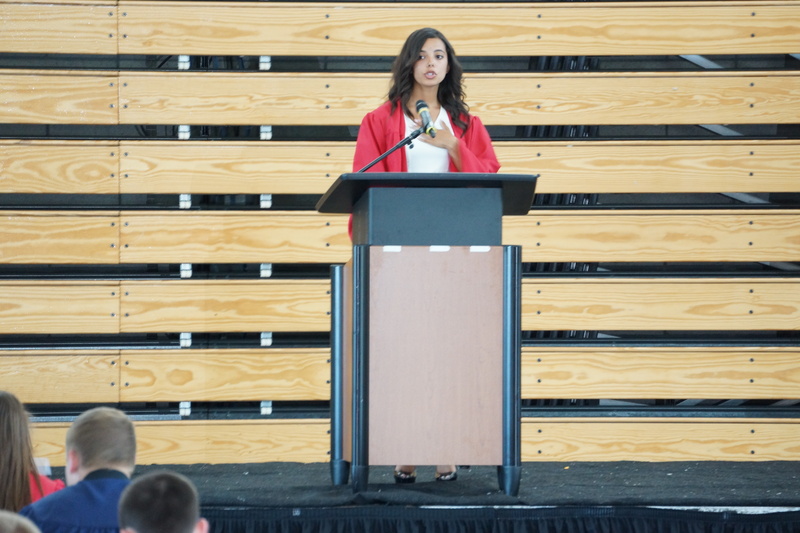 With only a few days before commencement, days that include high school exam finals, baccalaureate provided a wonderful moment of reflection.